Renting a car at KLIA or KLIA2? Flying in for a holiday or a long layover in Kuala Lumpur? We all have been in the dilemma of whether to take public transport or use ride-sharing services but what if you could actually self-drive and explore the city without worrying about bus schedules or price surge? To further help you decide whether renting a car or taking a public transport would be a great idea, we have made a comparison for you to plan your arrival at Kuala Lumpur International Airport. Ride-Sharing Services and Conventional Taxis. Familiar to most people, ride-sharing services such as Grab and Uber are frequently used in Malaysia. Often labelled as transportation for self-entitled millennials, ride-sharing providers such as Grab and Uber are as enthusiastic about keeping their prices competitive and for a fact, their rates are much lower than airport taxis. Already tempted to opt for ride-hailing services? Hold your horses. Assuming that you’ve finally arrived in Kuala Lumpur for a sunny vacation, gotten your baggage and barely trying to control your excitement within. You step out of the terminal and you flagged down the airport limo. Your very action of flagging down an airport cab will cost you RM130 to RM150 for a one-way trip to the city centre. That having said, a return journey in a decent 5-seater taxi from Kuala Lumpur International Airport would cost you RM260 at least. Grand. But what about Uber or Grab? How cheap is cheap? A trip from the airport to the city centre would cost you RM70+/way for an Uber. That’s quite some savings there init? Well, it gets even cheaper with Grab where it costs only RM65/way to the city centre not inclusive of toll charges. Both Grab and Uber will require you to register for a free account. Talk about cheap and affordable, shuttle bus wins the title of being the cheapest among all transportation methods. Standing at RM10 for one way to KL Sentral, it’s unbeatable. What are you waiting for!? Let’s go! Now, you and your travelling partner are now at KL Sentral, probably 15 to 20 minutes away from the city centre, finding it difficult to juggle your baggage and trying to console your partner after a very dissatisfied bumpy 1-hour ride on the bus. Think you’ve saved quite some money? RM50 for a 1-hour bumpy ride isn’t a good start and don’t forget, you will need to call for a taxi or Uber to get into the city centre. Worth the hassle? I don’t think so. The KLIA express train works the same and ends its service at KL Sentral except it costs RM100 for returning trips per adult and RM45 for returning trips per child (2-12 years old). You probably wouldn’t think of renting a car thinking that it would be ridiculously expensive. What if there was a car-sharing/ car rental provider that offers you car rental for fraction of the price of conventional car rental services? RM99 is all it cost for a day’s rental and the best thing is, you may drive to any part of the city and pay only RM99/day. 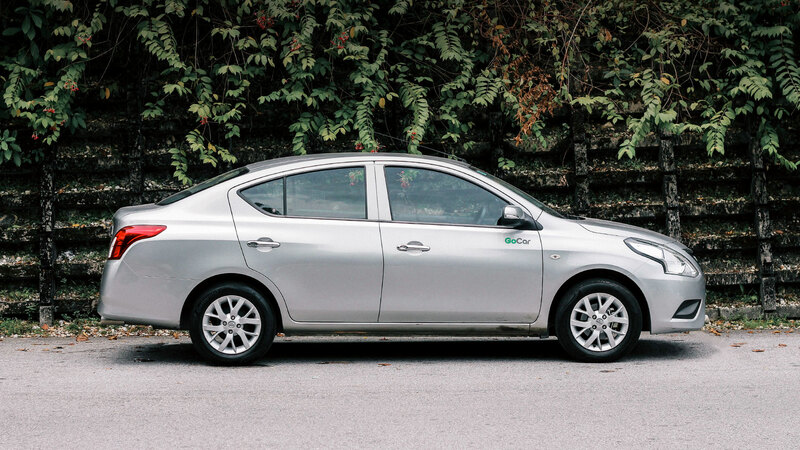 GoCar has a fleet of Nissan Almeras deployed throughout Klang Valley as well as both the airports and these cars seat 5 people comfortably and those chunky baggage go right into the spacious boot. Assuming you’re renting it for a day, RM99 is all it takes to settle your transportation woes instantly for the day! 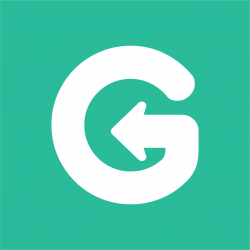 If you’re wondering how to make a booking, head on to GoCar.my. Simply register, book and drive. It’s that simple. Think you may have other genius ways of getting to the city from the airport, give us a poke!